Today the internet is full of how to videos and tutorials that lead almost anyone to think that they are capable of doing work themselves without ever hiring a professional. While this is admirable and there are plenty of activities or services that one can learn how to do, there are still plenty of things that should be left to the professionals. 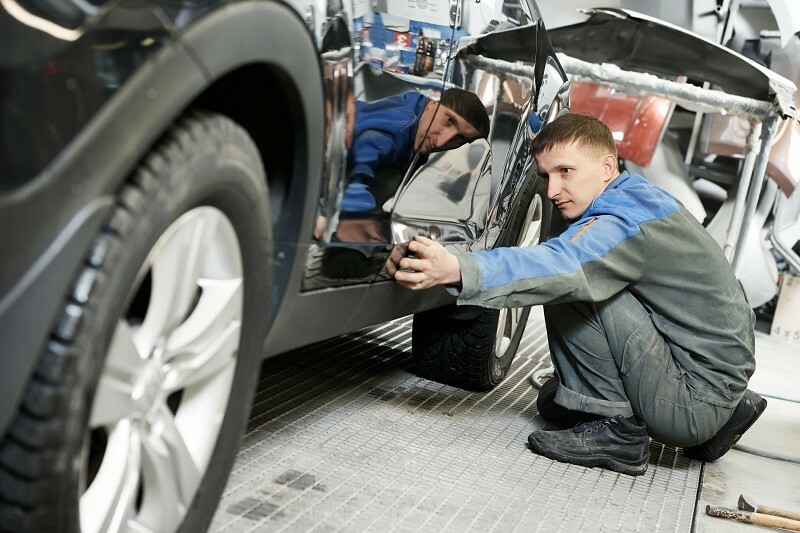 Auto body work is something that most professionals are much better equipped at handling. Just because you can look up a step-by-step instructional doesn’t mean that you have the right tools or resources necessary to get the job done and if you are planning to make changes or repairs, or complete mild auto body work it might not be worth it financially for you to invest in all of the tools you need when you could much easier turn to a professional. Touchup paints: For small stone chips and areas where your paint needs addressing, you should consider the idea of using touchup paints to fill in areas throughout your body as part of your auto body work. These types of touchup paint can often be purchased at your manufacturer and they are designed to directly blend with your current paint colors. The professionals on the other hand will be able to perfectly blend these items into your panels so that you can enjoy a better looking door panel in the future. Dent repair: Auto body repair shops often have access to tools that can repair a dent with extremely minimal damage. If the paint finish has not been compromised, there are smaller tools that can be used for finishing the dent without making any further damage to the vehicle itself. They also have the finishing tools available to fix up the finish on a body panel when the dent repair is completed. Checking other issues: professionals can not only perform auto body work but they can take a look at the rest of the body panels, the alignment, the frame and more. Checking in on other issues to maintain the drivability of your vehicle can be very important to keeping your vehicle on the roads and keeping it safe to drive. When you don’t have the right experience, you could be taking a risk by performing some of the cosmetic changes to your vehicle without addressing deeper issues over time.